We joined Wyndham in January 2010 and had not had a holiday, so in April I decided that we were going to have one. We run 3 businesses and have 3 children (12, 8 & 3) so life is full on. I chose Coffs Harbour as our destination and went online to have a look. The Treetops resort looked great. I checked my Credits, then I made a phone call to book and the lady on the other end was just great. We ended up using the Credits we had, plus borrowing from next year, and booked a three-bedroom Presidential Suite. The lady asked if we are sure that we want to borrow, as we could have a smaller room for less Credits, but I chose not to get a smaller room. It just means that we only have a holiday once every 2 or 3 years. Well, our holiday time finally arrived and we had a 9 hour drive ahead of us. We packed the kids with dvd’s etc and the luggage and off we went. When we arrived and opened the door of the apartment we were in awe. It was THE most awesome place we had ever stayed. We had the best 5 days at Coffs Harbour. We went ice skating, the kids went swimming in the heated pools at the resort and we had a delicious breakfast at the restaurant. Before we knew it, our stay was over and we had a 9 hour drive home. It was well worth it, and we are so glad we borrowed Credits from the next year to have the apartment that we really loved. 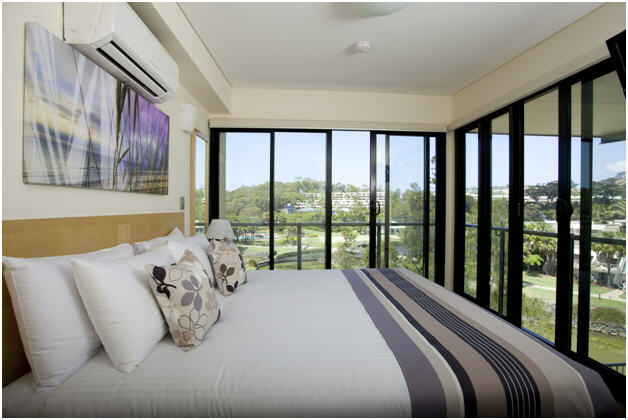 This entry was posted in (NSW) Coffs Harbour and tagged australia, Coffs Harbour, family, new south wales, Presidential Suite, travel, vacation ownership, worldmark, Wyndham Resorts. Bookmark the permalink.